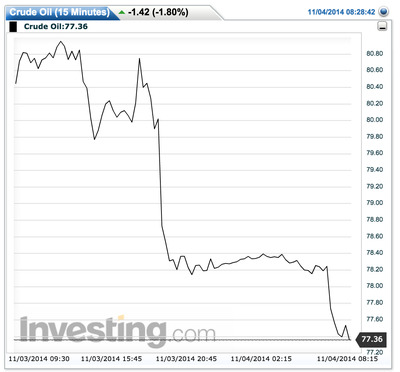 WTI Crude Oil just dropped to its lowest intraday price since 2011, sliding 1.78% lower after weeks of decline. 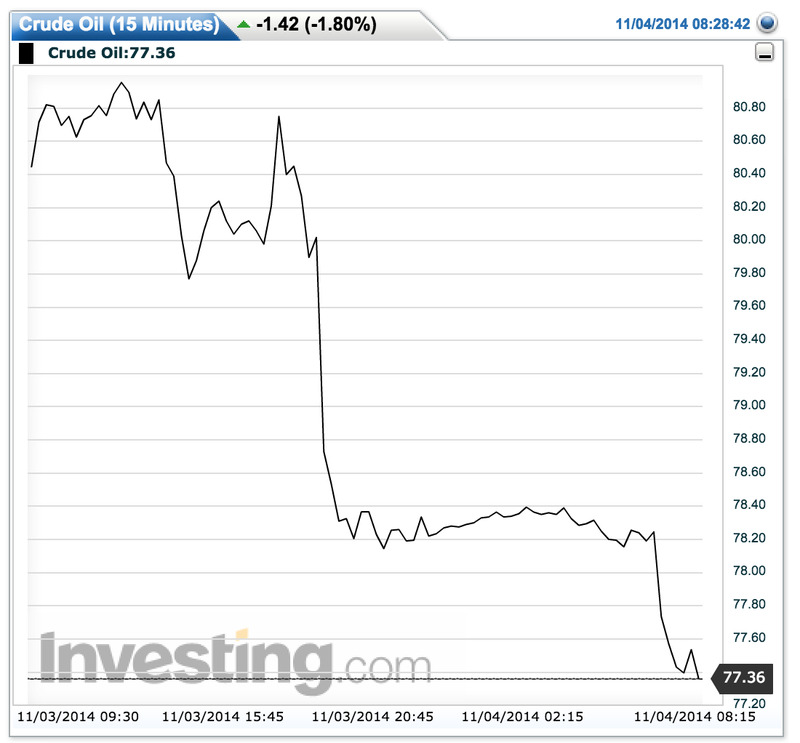 The benchmark price for crude oil is down by nearly a quarter from the end of July. Saudi Arabian action seems to have pushed the oil price further down: according to Reuters, Saudi Aramco, the state-owned oil giant, cut prices for US buyers, while increasing them for Asian and European customers. They might well be happy with the falling price, but other oil-producing countries definitely won’t be. The rouble is going through the floor again, and Venezuela, Iran and Russia are particularly exposed to the falling price.